Today’s the start of Chinese New Year. What with one thing another, I just couldn’t get my act together enough to start the blog for 1 Jan, so now I’ve got a second chance. Apart from posting on the new blog, today’s pretty quiet workwise (nothing new there…). A Jan day – a good time to edit material to update my website and book. 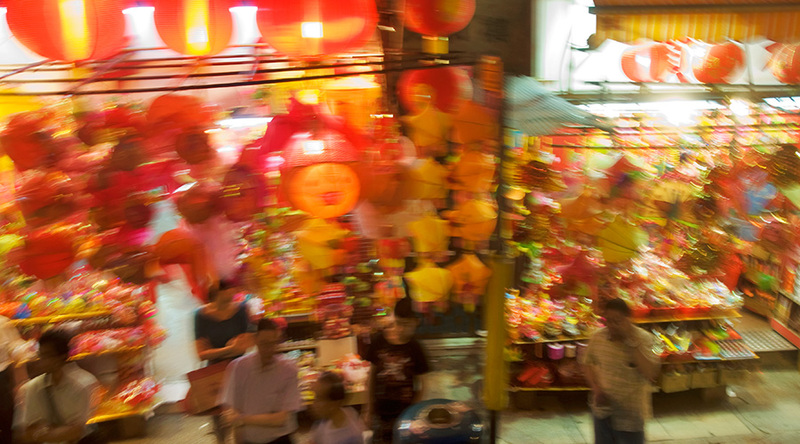 The photo above was taken in Hong Kong, in a neighbourhood called Kennedy Town where they specialise in making traditional festive decorations for sale year round. Like all great cities, Hong Kong is more like an amalgam of neighbourhoods each with its own identity and individual character. It’s a world away from the UK high streets dominated by the big chains. Don’t get me started on a rant, but Naomi Klein’s No Logo seems just as relevant today, even though it was published in 2000.